Nearly one-third of the world’s population is on Facebook. Is your dealership there to guide them through their car-shopping journey? Facebook is continuously growing in both users and advertising opportunities. With frequently updated ad features and diverse ad types for all levels of the consumer funnel, why wouldn’t you want to be advertising there? Ads on Facebook reach millions of Canadians through the Audience Network while keeping costs low and conversions high. It’s one of the most powerful social media advertising platforms and it’s not going anywhere. Let us help you reach your ideal car shoppers exactly where they are with visually compelling ads tailored to their interests. 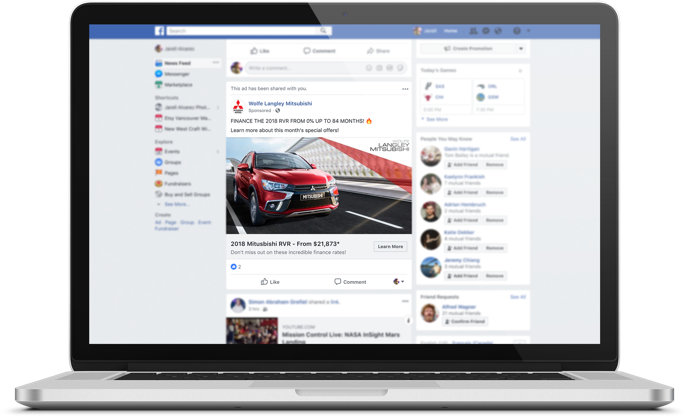 We target in-market automotive customers at critical moments with Facebook’s ultra-precise targeting. 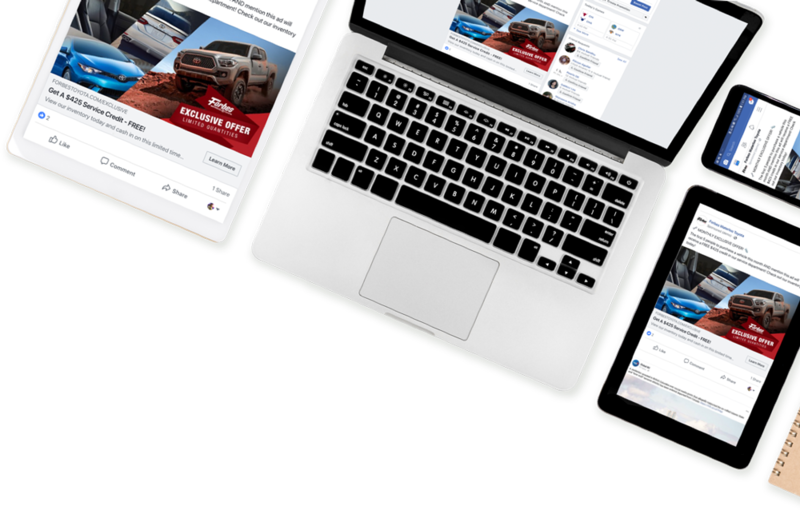 Here at Convertus, we kick your digital strategy into high gear and maximize your dealership’s marketing mix with a fool-proof social media advertising strategy. What are you waiting for? Facebook has more users than any other social network. With over 2 billion active monthly users as of July 2018 and 23 million active monthly users in Canada, Facebook users account for nearly a third of the world’s population. Car shoppers spend time on Facebook throughout all stages of their car-buying journey and look to the platform for major decisions. Facebook is where car shoppers are. Your dealership has countless opportunities to show up for the right people at the right time and drive qualified traffic to your site and your store. Need we say more? 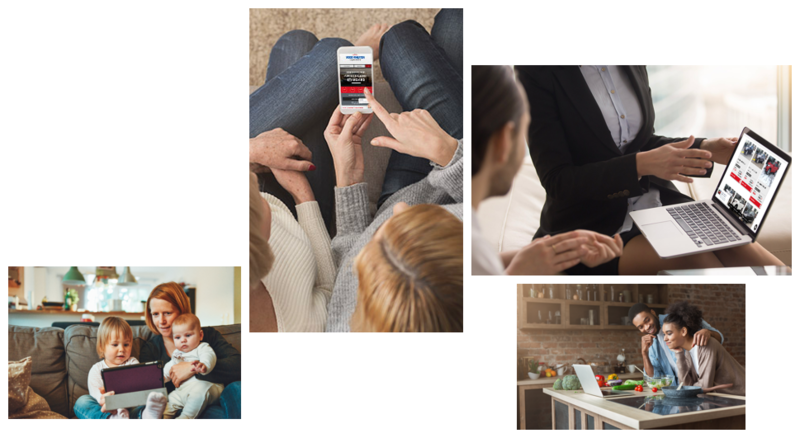 Our diverse Paid Social solutions target the exact audiences that matter the most at each level of the consumer journey, from brand awareness through purchase decisions. Drive traffic to your website (and then to your lot) with precise targeting strategies including lookalike audiences, affinity audiences, geographic targeting, and demographic targeting. Use proven advertising strategies that reach your audience at each stage in their car-buying journey, keeping your dealership top-of-mind until they’re ready for a test drive. A powerful ad type for both desktop and mobile, Single Image ads and Carousel ads let your dealership showcase your best products through a sequence of images (or videos) in one single ad unit. Let your audience slide through a series of compelling images that align with their interests and drive traffic to multiple pages on your site. Or use single images to promote offers and generate leads with a single click from within Facebook! Engage car-shoppers on mobile with interactive experiences. Use rich media to showcase your dealership’s inventory and create an engaging experience that draws qualified traffic to your website. With Facebook’s mobile-only Instant Experience ads, users are able to click into the ad, triggering a full-screen, interactive experience. Audiences can scroll downward, swipe through product catalogues, zoom in on images and be guided towards a captivating call-to-action that takes them to your website. Powerful storytelling is the name of the game here. Upload your entire vehicle catalogue to Facebook once, then let the most relevant ads automatically generate for diverse audiences. Show the right vehicles to the right people based on the interests they’ve indicated, whether on your dealership’s website or elsewhere online. Effective across all devices, dynamic inventory ads attract in-market audiences as they’re navigating the consideration phase of their car-buying journey. Innovate with social media strategies outside the box. 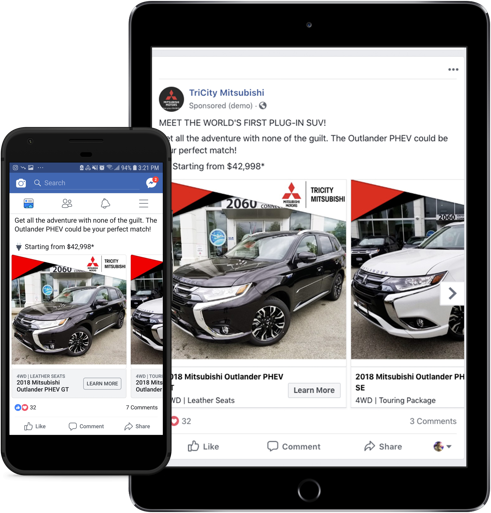 Let us create a customized paid social strategy for your dealership to reach car-shoppers in critical moments with the most relevant, impactful and engaging ads. Guide potential customers on Facebook through their buying journey and to your lot.